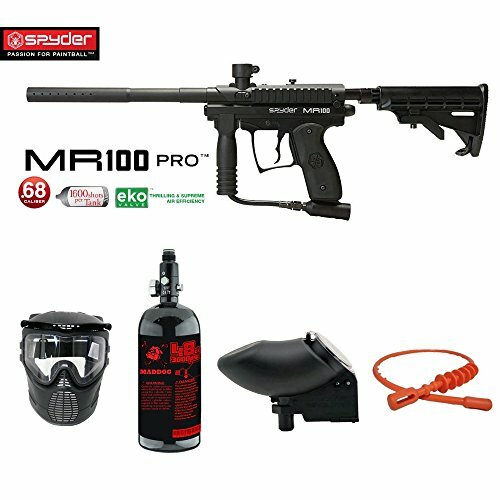 The Kingman Spyder MR100 Pro is a high-performance semi-automatic paintball marker that provides exceptional performance and fierce firepower. 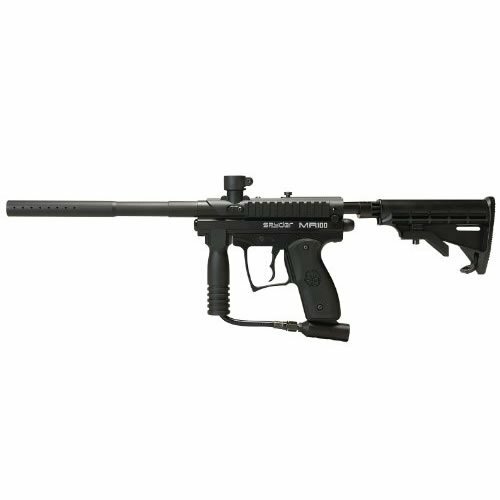 With a high-impact polymer clamping feedneck and a 12-inch micro ported barrel, this high-quality paintball gun is finished with a sleek, military-style matte anodized finish for a commanding look. 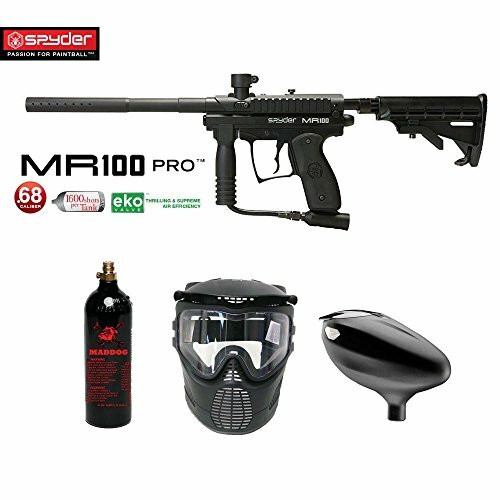 This Kingman Spyder model is in the original Diamond Black for an awesome finish. 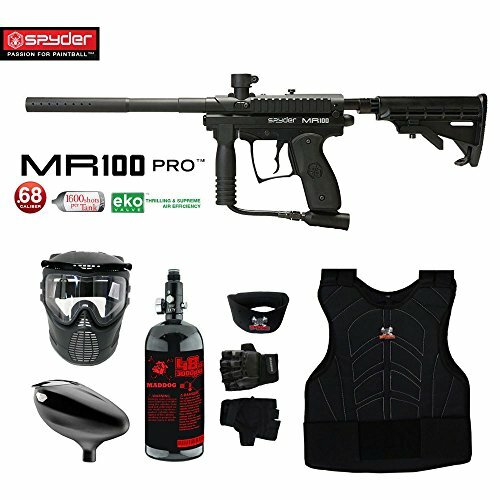 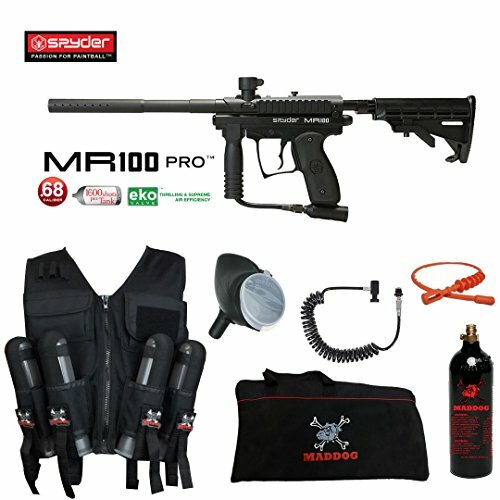 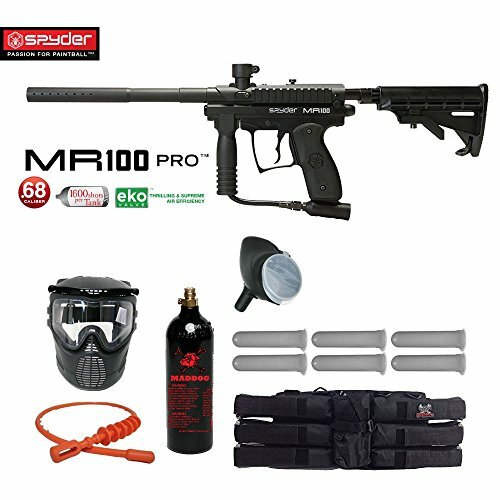 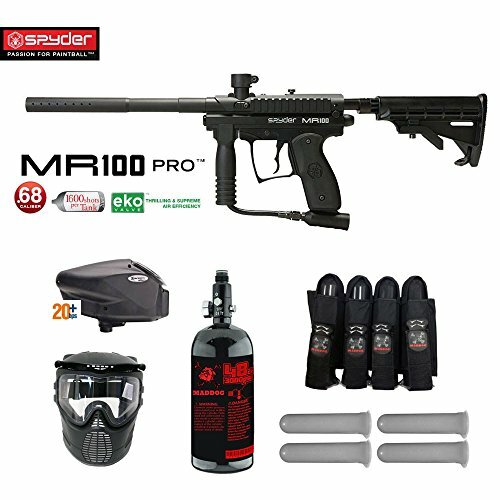 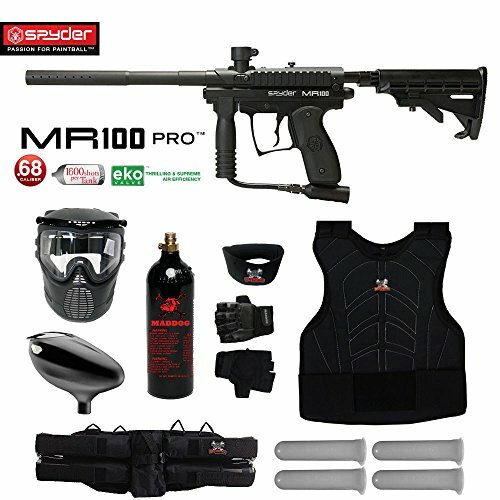 Each Spyder MR100 package from Zephyr sports includes a variety of accessories to get you started, including a CO2 tank, a paintball mask, a paintball harness, round pods, a squeegee and a paintball loader. 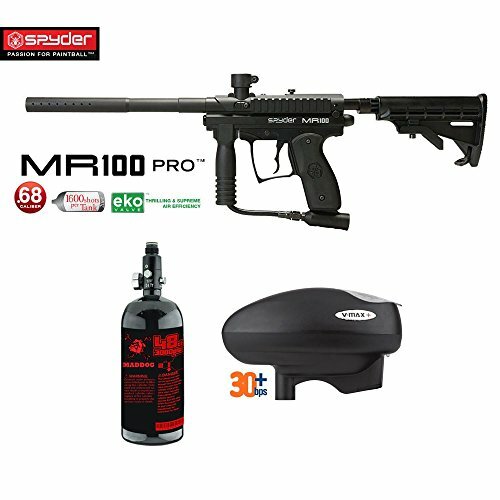 You can use this marker with either CO2 using the included air tank or compressed air. 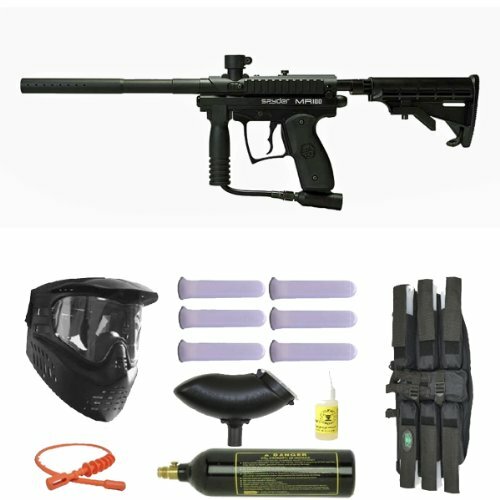 It features Kingman's high-tech, air-efficient Eko Valve system, which shoots up to 1,500 shots from the 20-ounce CO2 tank.